Northampton Saints Under-16s and Under-18s sides enjoyed their first matches of preseason on Tuesday, as they took on two strong Cardiff Blues outfits on home soil. In scorching temperatures at Stowe school, Saints brought 30 players for each match and rotated the XV on the pitch every quarter. Despite falling behind in the early stages of the match, the U16s hit back well with outside-centre Matt Arden crossing just four minutes later to level the scores. Saints almost mustered the perfect response again after Cardiff ran in a try under the posts, with a superbly-worked move off the back of a midfield scrum allowing Arden to chip through for Isaac Pfaender, but the winger was stopped just short of the line. The second quarter of the game saw the Blues build their lead after a couple of turnovers in Saints’ half, but the hosts enjoyed a bright start to the second period with skipper Jake Garside and fly-half Gabe Jones pulling the strings well. Cardiff were pinged for offsides with increasing regularity as Saints turned the screw, and eventually Jones’ kick for Kai St Jean was collected expertly and touched down in the right corner. Jones came within inches of adding another straight after, but a long kick over the top just beat him into touch. The game was forced into a premature conclusion due to a head injury to a Blues player, and afterwards Garside insisted his side would be focused on improving before their trip to the Warwick Festival. “We did do the basics well, but we didn’t recycle the ball well enough or go through the phases as we’d have liked,” he said. “There’s plenty of positives we can take away; our hands down the line were good, and we broke through the line often. “We’ll look to review what we can do better over the next few days by looking at footage with our coaches – we’re really motivated to improve and do well at the upcoming Warwick Festival. 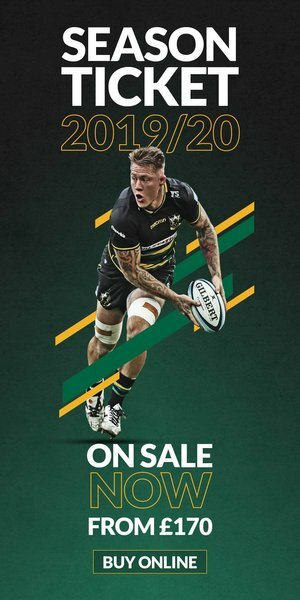 The U18s meanwhile boasted the likes of Ethan Grayson and Matt Parry - younger siblings of Saints first-teamers James Grayson and Tom Collins respectively - within their ranks, as well as Morgan Dayes, Tyler Mills and Ollie Newman who all pulled on the Black, Green and Gold jersey at the Premiership Rugby 7s last month. The Blues saw lots of the ball in the opening exchanges but resilient defence from Saints’ backs on their own line kept the visitors at bay, before a couple of penalties allowed Mills to clear. However a chip right into the corner left Cameron Sharpe no choice but to step out of touch, and Cardiff drew first blood from the resulting set-piece to score under the posts. 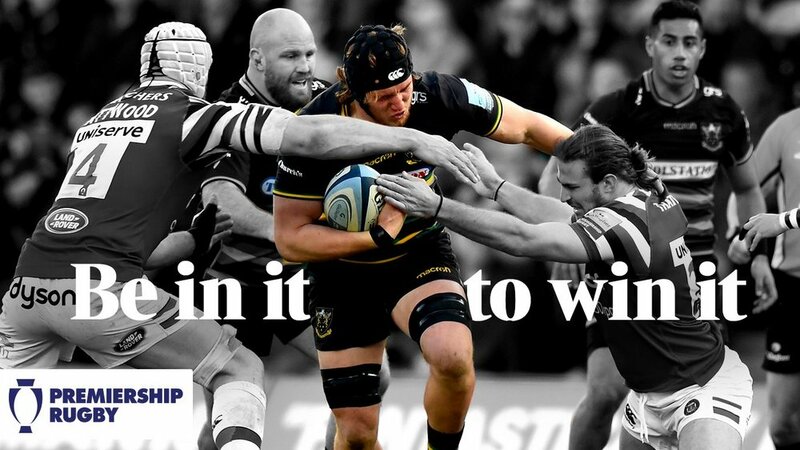 A destructive, scything run from Emmanuel Iyogun almost saw Saints draw level, but his offload was lost forwards just inches from the line, and the Blues then broke out down the left flank and clipped the ball forwards to notch their second score. The hosts enjoyed plenty of possession and created two more great chances; first Louis Martin was stopped after a break down the left wing, before Mills’ chip into the corner was tipped back inside by Martin, but the ball was again lost forwards just before the line. A fresh XV entered the fray at half-time, and after a nip-and-tuck opening to the second half both defences stood firm. 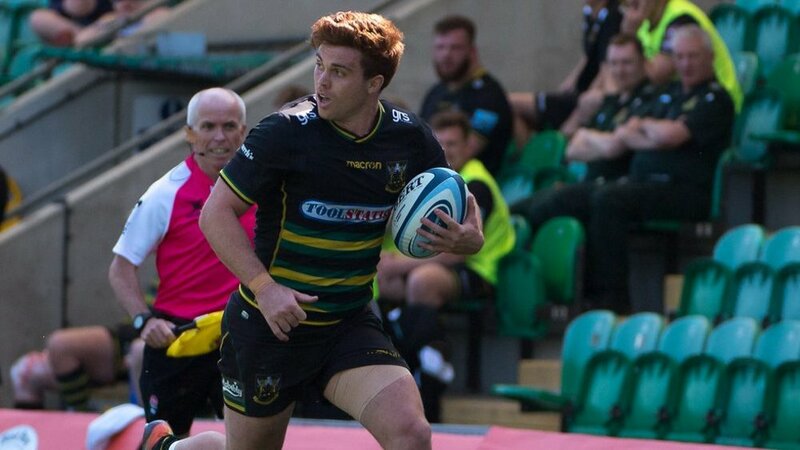 Saints’ new pack – spearheaded by skipper Newman and the front row of Jarno Longaretti, Sam Donald and Ed McDowell – were faring well against their Welsh counterparts, but with a quarter of an hour remaining the visitors struck with a crucial third score after the ball bounced unkindly for Saints in the build-up. 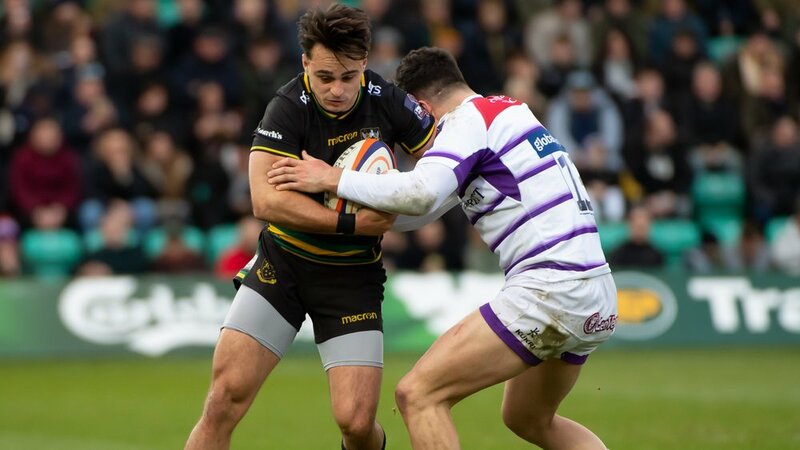 Grayson showed his class in the closing stages with a dummy and run in the midfield, but Saints were not able to close the gap and Newman admitted there was plenty to work on during their preseason tour to Ireland next week. He said: “That was a big test of our preseason, and we clearly need to work a bit harder and improve in Dublin as that hard graft is what will get us results. “You couldn’t fault our work-rate, that was certainly the best thing about our performance, but our discipline, line speed and physicality are all areas we highlighted after the game for improvement.